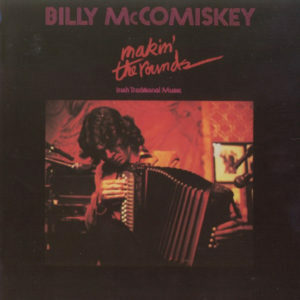 Billy McComiskey is a highly regarded player and composer of Irish traditional music. A Brooklyn native, he started studying accordion with the late Sean McGlynn from Galway in his early teens. He won the All-Ireland Senior title in 1986. He formed and played with two legendary trios: Washington DC’s Irish Tradition and the internationally acclaimed Trian. He is known on both sides of the Atlantic as an indefatigable session player, teacher, and promulgator of the music. On Outside the Box, Billy’s first solo CD in almost 25 years, the listener is once again reminded why Billy is known as “the most accomplished B/C box player to emerge from Irish America”.